in the Morningside Heights neighborhood of Manhattan in New York City. it has been owned and operated by the Greek-American family of Minas Zoulis since the 1940s. 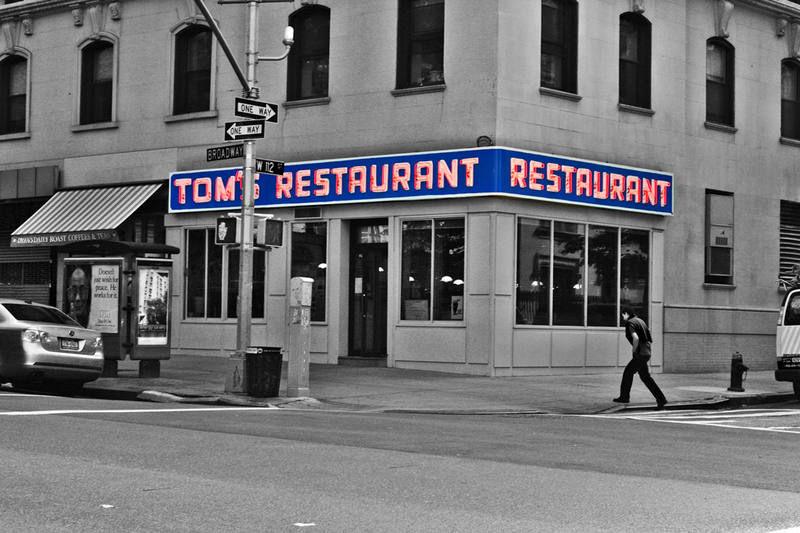 Tom's Restaurant was the locale that inspired Suzanne Vega's 1987 song "Tom's Diner". who maybe never even crossed its doors. Until today. Meghan when she was a student at Columbia. on which Vice-President's Al Gore beliefs are based. worked with David Lynch on the soundtrack of "Twin Peaks"
the witty retired professor Ramon Berenguer, the endearing sports fan Mike Valmas, and more. breaking the fictional facade and showcasing the real people behind this true NYC Landmark. New York has many hidden treasures. This documentary is dedicated to bring you some of them. brings us in depth information into their creative process and into the life of the contemporary comedian. their relationships with the cast members and Suzanne Vega. which has stood constant in an ever-changing city.